With the SEOWP theme you can easily create a landing page. On such type of layouts usually, you don't need to use a header like on the standard pages. You can achieve this using one of the following methods. Choose one that fits better your needs. In the case you need to have a dedicated header for the landing page, go to WP Admin > Appearance > Headers/Footers and create a new header. 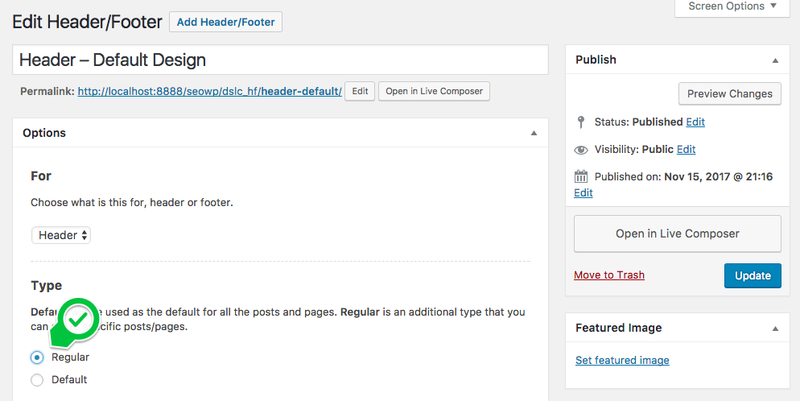 Set the header type to "Regular" to be sure will be displayed just on the pages where you want. 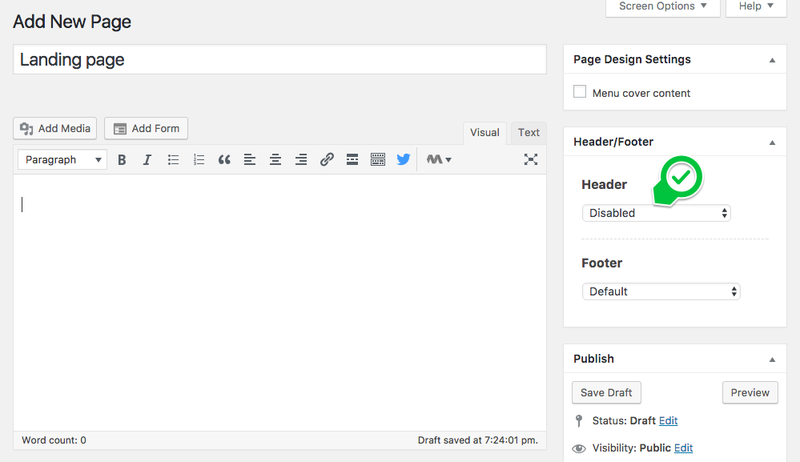 Now, use the page editor "Header" (see the screenshot from the #1) option and select the header created for the landing page.